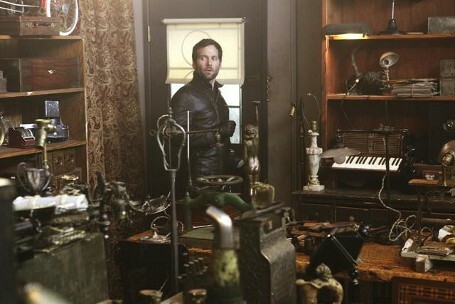 We touched up on the preview for episode 19, The Return. 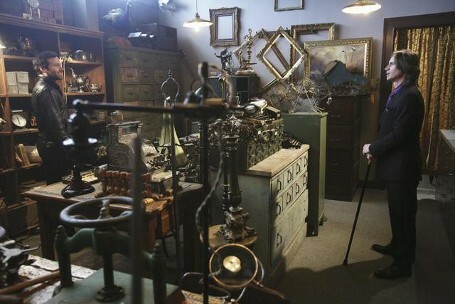 Finally, the photos have been released! 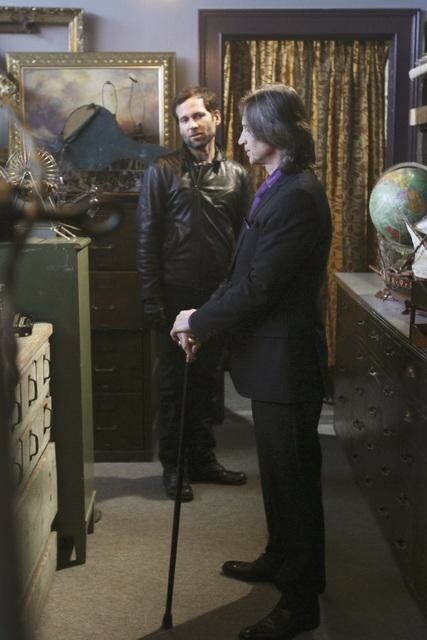 From what we know, Rumpelstiltskin and August W. Booth face off in Storybrooke. 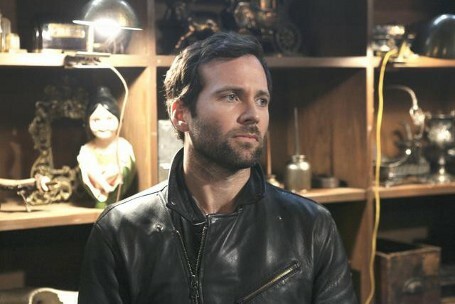 The photos do show the two men together in a few scenes. 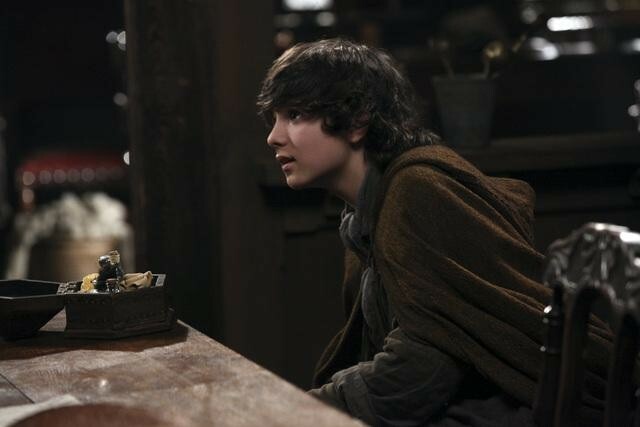 In fairy tale land, we see Rumpelstiltskin and his son, Baelfire, together. 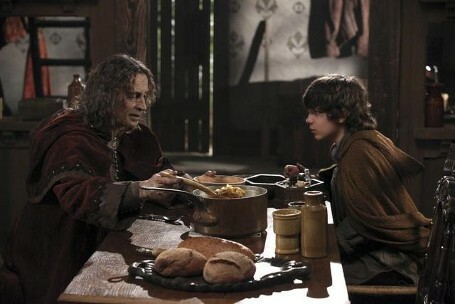 The two have a meal together, while in a deep discussion. 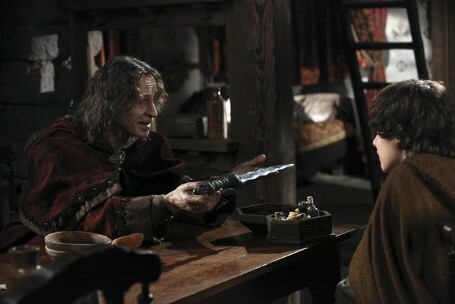 He gives his son the dagger, which may be the same dagger August had in his possession. What do you make of the photos? 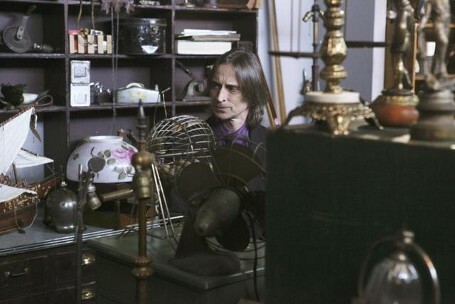 From the pictures it looks like august is Rumplestiltskin’s son, but that makes no sence. Bae would have to be older than regena because regena’s mom is supost to be the miller’s daughter from the oringal story. 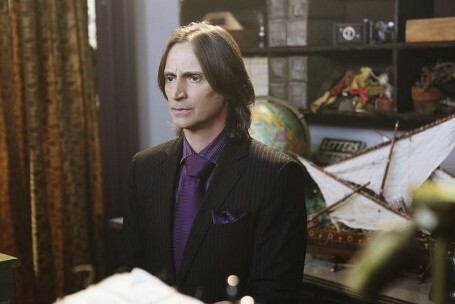 Rumplestiltskin would have to have his power to make the gold for the miller’s daughter. 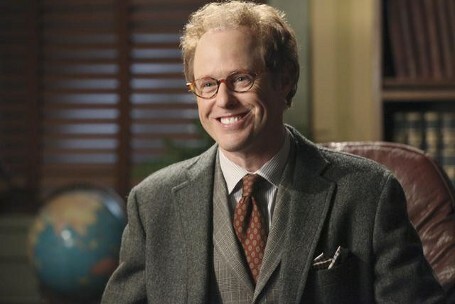 Second if august is a chariter from “fairytale land” then why was he not already in Storybrooke?